Adyaksha (English: President) is a 2014 Indian Kannada language comedy film directed by Nanda Kishore. 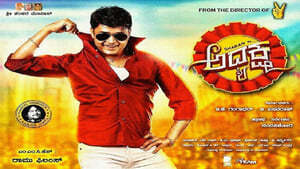 It stars Sharan, Heeba Patel, P. Ravi Shankar, Malavika Avinash, Chikkanna and Ramesh Bhat. It is a remake of the Tamil film Varuthapadatha Valibar Sangam. The music for the film and soundtracks were composed by Arjun Janya.